Good news! 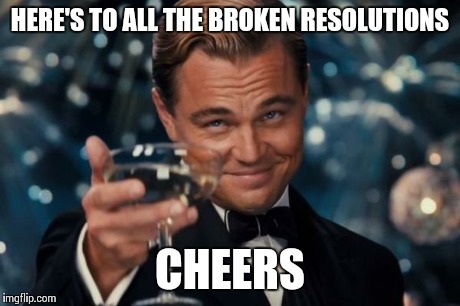 You still have 1 day to accomplish your 2017 resolutions! On Tuesday I listed the best books I read in 2017. 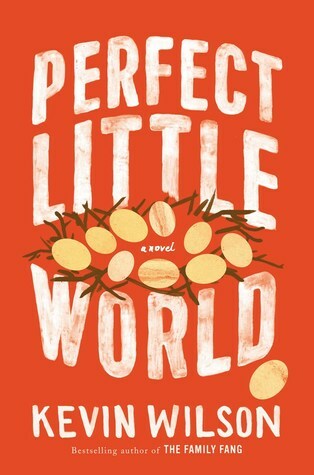 On Wednesday I reviewed Perfect Little World by Kevin Wilson. 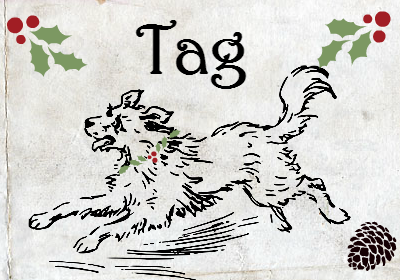 On Friday there was a tag. On Monday I review The Secret History by Donna Tartt. 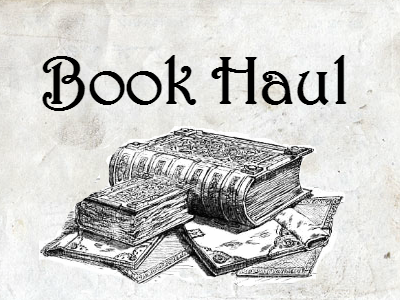 On Tuesday I list some awesome new-to-me authors. 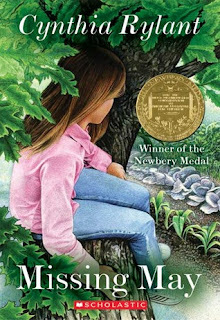 On Wednesday I review Marrow Island by Alexis M. Smith. On Friday there might be something? I don’t know yet. 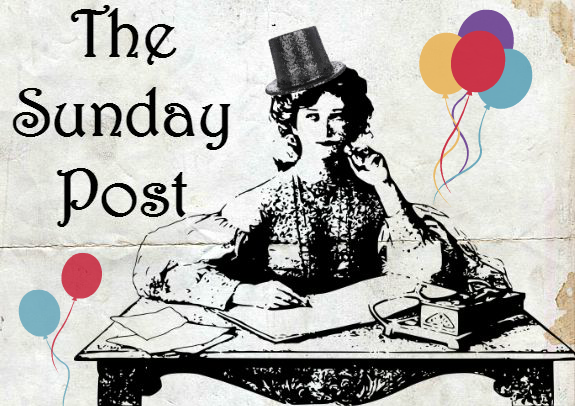 I’m blogging as fast as I can! 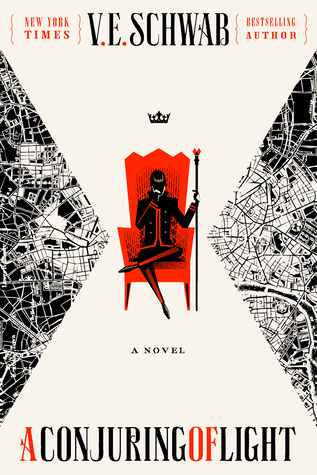 I finally finished A Conjuring of Light by V.E. Schwab. Holy crap, that was a big book. 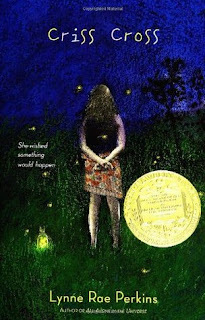 Right now, I’m desperately trying to finish The Wolf Road by Beth Lewis. I want to finish it before next year. Re-watching Harry Potter movies for the millionth time. I got a new phone! It’s a Samsung Galaxy. I’m still trying to figure out how to use it. Since I have a phone, I can actually use my Instagram account. All the 2017 wrap-up posts are making my TBR list explode. You guys are so good at making me buy books. 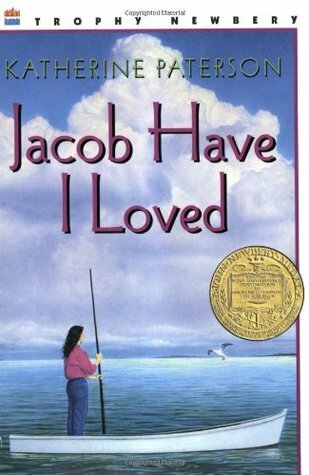 One of my goals for 2018 is to read as many Newbery winners as possible. Here are a few of the winners I’ll be reading. The girl known only as Brat has no family, no home, and no future until she meets Jane the Midwife and becomes her apprentice. As she helps the sharp-tempered Jane deliver babies, Brat—who renames herself Alyce—gains knowledge, confidence, and the courage to want something from life. Esau have I hated . . . Sara Louise Bradshaw is sick and tired of her beautiful twin Caroline. Ever since they were born, Caroline has been the pretty one, the talented one, the better sister. Even now, Caroline seems to take everything: Louise's friends, their parents' love, her dreams for the future. For once in her life, Louise wants to be the special one. But in order to do that, she must first figure out who she is . . . and find a way to make a place for herself outside her sister's shadow. Extra-special bonus post! I wasn’t planning on posting anything today, but I saw this tag on Lindsey Reads and thought it was too unusual to pass up. It was originally created by A BookTube Book. The bookish questions are inspired by events that happened this year. I try not to watch a lot of TV, so I’ve never seen Doctor Who, but I did reread Harry Potter this year. Hermione Granger will always be my favorite female protagonist. 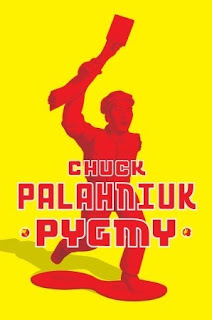 Maybe Chuck Palahniuk? I’ll always love Survivor and Lullaby and some of his short stories, but most of his books just confuse me. I think I’m ready to stop trying with him. Pygmy was awful. I couldn't finish it. 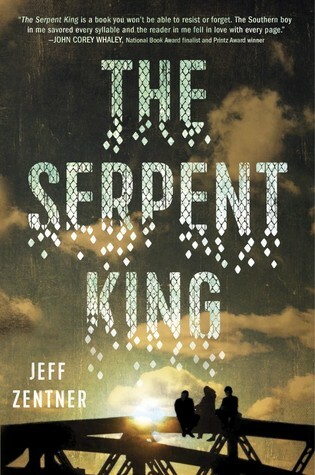 I wasn’t planning on reading this book, but I kept hearing good things about it, so I decided to give it a chance. I loved it. I’m excited to read more of the author’s work. I have a slight obsession with Marcus Sedgwick’s work. The obsession has been going on for a while and will probably not stop anytime soon. How am I supposed to pick just one? I have a million favorites. 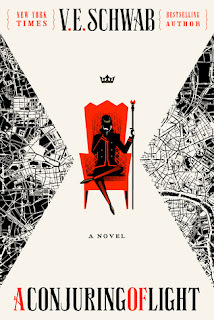 I love this series and needed to know how it ended. Of course I was going to buy this novel ASAP. Sorry for using the same series twice in this tag, but I don’t read many series. 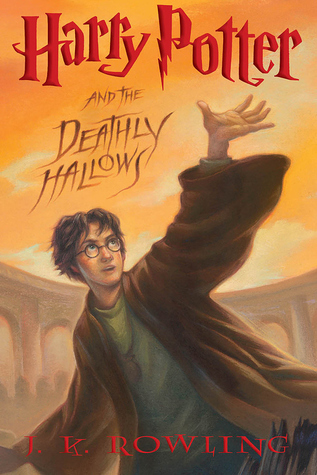 I think the later Harry Potter books are better than the earlier ones. 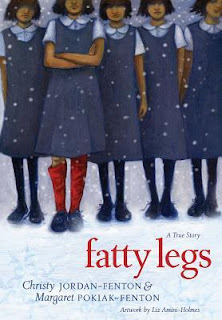 Fatty Legs! The authors are Inuit. 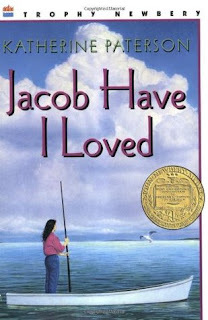 This children’s nonfiction book is about Margaret Pokiak’s time as a student at an inhumane residential school in Canada. It’s a very quick read, and I learned a lot from it. More people should read it. Is the World Cup soccer? I'm not a sports person. Anyway, I wanted Smoke to be my favorite book ever. 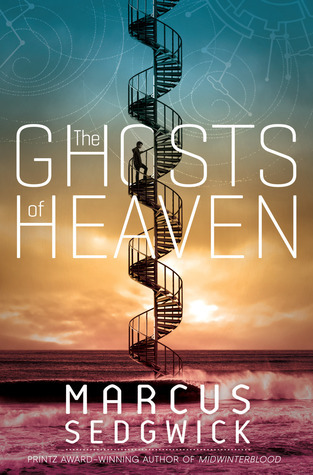 It’s set in a bizarre alternate-history world where sin is visible, and rich people can pay to hide their sins. Unfortunately, it’s unbelievably boring. I came very close to not finishing it. So much disappointment. Hero and Cherry. 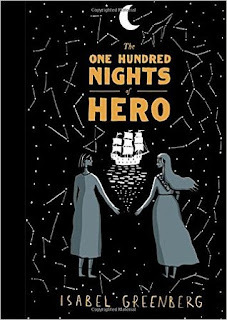 This is one of my favorite graphic novels ever. I think I’ve seen one Star Wars movie? I watched it with a kid I was babysitting and don’t remember it at all. I do remember my most-anticipated 2018 release. 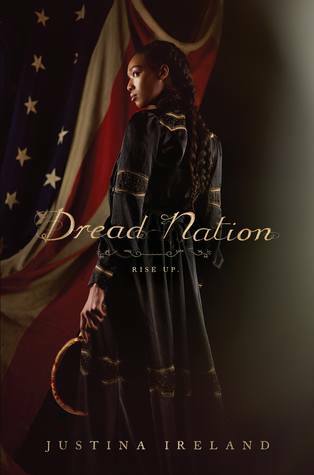 Dread Nation. Alternate-history with zombies. 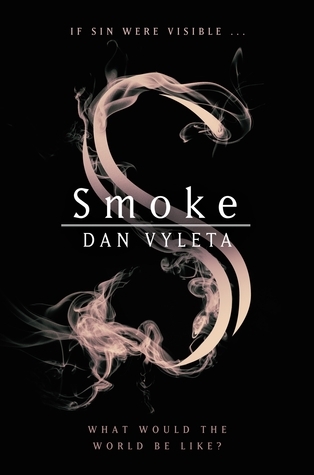 Hopefully it works out better than Smoke. This attempt at a utopian ideal—funded by an eccentric billionaire—starts off promising: Izzy enjoys the kids, reading to them and teaching them to cook. She even forms a bond with her son more meaningful than she ever expected. 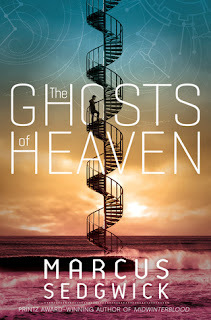 But soon the gentle equilibrium among the families is upset and it all starts to disintegrate: unspoken resentments between the couples begin to fester; the project's funding becomes tenuous; and Izzy's feelings for Dr. Grind, who is looking to expunge his own painful childhood, make her question her participation in this strange experiment in the first place. Review: Judging by the synopsis, this is a very “me” book. Utopian compounds, nontraditional families, strange experiments, eccentric billionaires. It sounds like this should be my favorite book ever. Unfortunately, I didn’t like it. I think this is an example of a brilliant premise that’s executed poorly. Eighteen-year-old Izzy is pregnant with her art teacher’s baby, but he has no interest in the child, and she doesn’t have the resources to care for it. Izzy decides to enroll in the Infinite Family Project, a child-development study that requires her to spend ten years living in a compound with 9 other families. At first, adjusting to life in the compound is hard. Then Izzy befriends the other families, and the compound becomes a “perfect little world.” What Izzy doesn’t know is that funding for the Infinite Family Project is precarious. Her home and family could be ripped away from her at any moment. The beginning of this book is actually pretty interesting. I enjoyed reading about Izzy’s doomed relationship with her mentally ill teacher. It definitely isn’t a healthy relationship, but it’s a realistic one. Izzy is a caretaker type. She’s drawn to older men who have serious psychological issues. She can’t fix the issues, so her relationships usually don’t last very long. 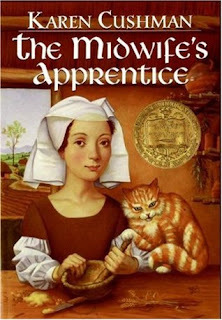 The book goes downhill after Izzy joins the Project. A lot of characters are introduced quickly. We get a huge info-dump about each of them, and that’s pretty much it. There’s no character development. I actually couldn’t remember who was who because they’re just names. They don’t have personalities. They don’t have motivation for anything they do. One lady hates Izzy for . . . reasons? I don’t know why. 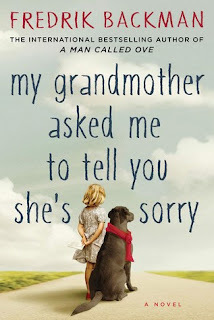 The author says that another lady is Izzy’s best friend, but we barely see them interacting. Then an evil lady tries to shut down the project for . . . rich people reasons? Because rich people think poor people are defective? I don’t know. The characters are all flat, and a lot of their choices don’t make sense to me. There’s a huge potential for tension between the characters, but there’s barely any tension. The stakes aren’t very high. Probably because the characters don’t feel real. I didn’t care what would happen to them if the experiment ended. My biggest issue with this book is that nothing happens. The parents take care of the kids, and the kids do kid things. This experimental family is exactly like a boring regular family. I guess there’s a message in that. Any type of family can be happy and successful. But, the problem is that I don’t want to read about a boring regular family. I kept waiting for something strange or dramatic to happen, but nothing happens. 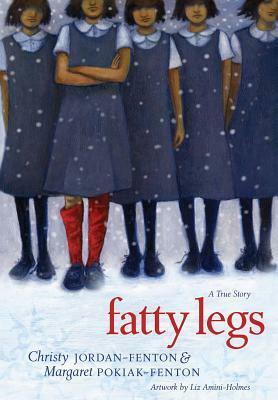 I was excited for this book because it sounds so unusual, but I ended up disappointed. The plot and the characters just fell flat. Top Ten Tuesday is a weekly meme hosted by The Broke and the Bookish. This week, I’m showing you my top ten favorite books of 2017. I realize I was supposed to post this weeks ago, but I’m busy and confused, so we’re doing it today. I even organized it backwards like a proper countdown. 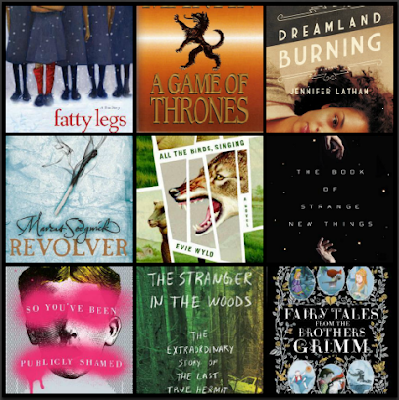 Not all of the books on this list were published in 2017, but I read them all for the first time this year. Click the title to see a synopsis/review. A lot of people don’t seem to realize that the world is in the middle of a massive refugee crisis right now. 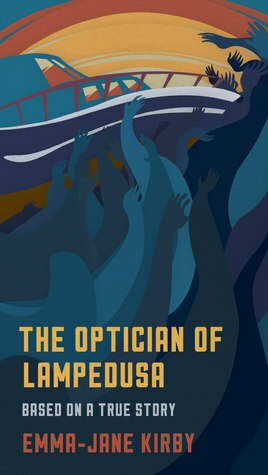 This tiny book shows how the crisis is impacting Lampedusa, an island located between Tunisia and Italy. 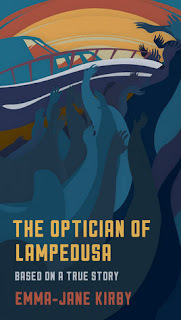 The Optician of Lampedusa is based on a true story. It’s both devastating and educational. (As all the best books are.) It helped spark my interest in the refugee crisis and made me want to learn more. 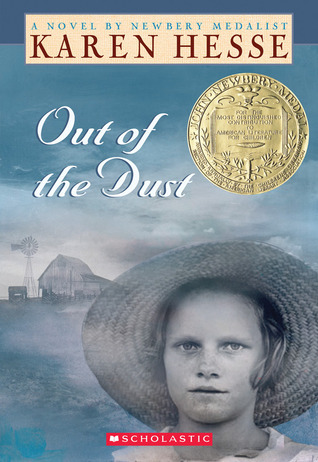 This memoir made the list for nostalgic reasons. I loathed reading as a kid, but I could sometimes be tempted with a Gary Paulsen book. I loved the Brian series, Winterdance, and My Life in Dog Years. I read them many times. 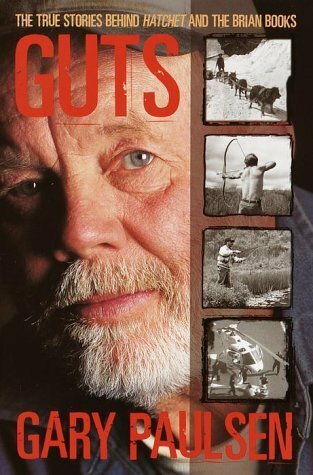 Guts tells the (sometimes hilarious) real-life stories behind Gary Paulsen’s novels. 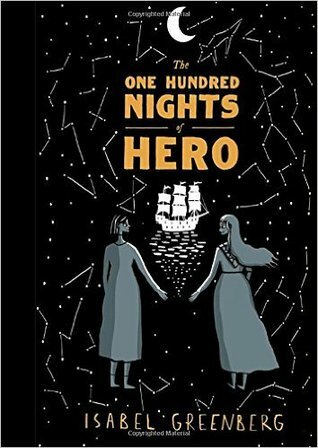 This is one of the most beautiful graphic novels I’ve ever read. I know nothing about art, so I’m not sure how to explain why I like it. I guess I like the “feel” of it? It feels primitive and otherworldly, like anything could happen in this story. As soon as I finished it, I opened it again to look at it for a second time. I love survival stories, and Shackleton’s Antarctic voyage has to be one of the greatest survival stories of all time. 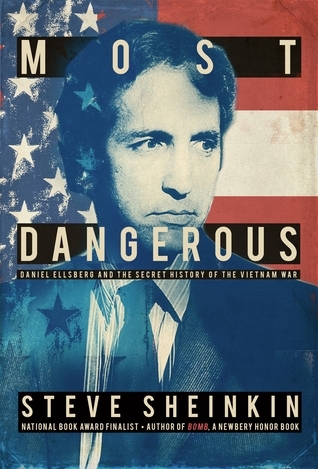 This nonfiction book reads like an adventure novel. 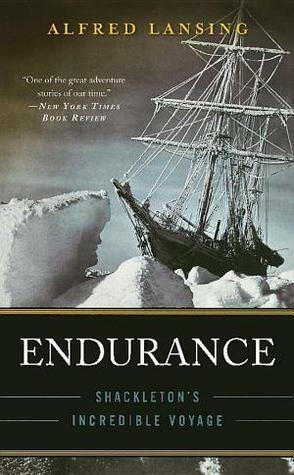 It’s an older book, so the author was able to interview Shackleton’s crew. 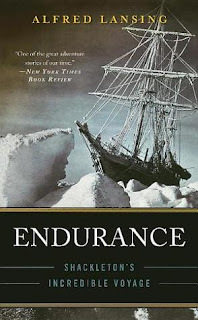 Endurance is better-written and closer to first-hand than the other Antarctic survival books I’ve read. Setting is massively important to me as a reader. If I can’t picture the setting, I’ll struggle to get into the book. 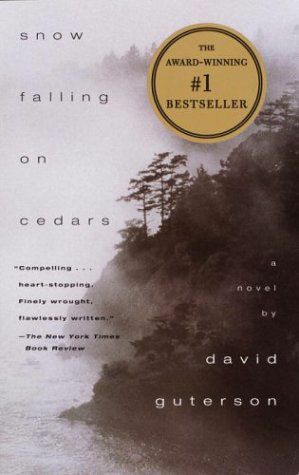 Months after finishing Snow Falling on Cedars, I can still vividly remember the Pacific Northwest setting. 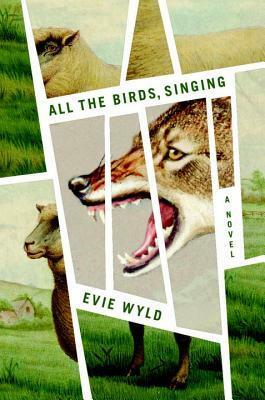 This literary murder mystery is set right after WWII, which isn’t a time period I see often in literature. Instead of focusing on the war, it focuses on how the war changed American society. Confession: I didn’t plan on reading this book. When I stumbled across it in the grocery store, I thought it sounded fluffy. I don’t do fluffy. Still, something about it called to me. (Probably the large dog on the cover, let’s be honest.) I’m glad I read it because I ended up loving it. It’s funny, and clever, and deep, and complicated. As soon as I finished it, I bought two more Fredrik Backman books. I love it when an author can make horrible people interesting. 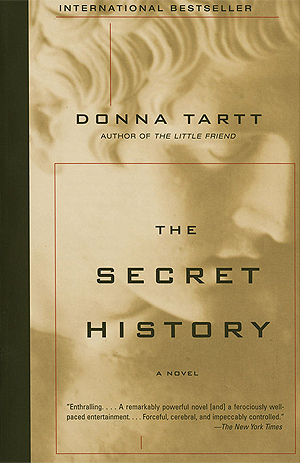 The characters in this massive literary novel are all horrible people, but they’re horrible in ways that kept me turning pages. I wanted to know what they’d do next. This novel is a glimpse into a lifestyle I’ll never have (or want). If you’re rich and well-connected, you can get away with anything. Even murder. Have you ever come across an author who “gets” you? 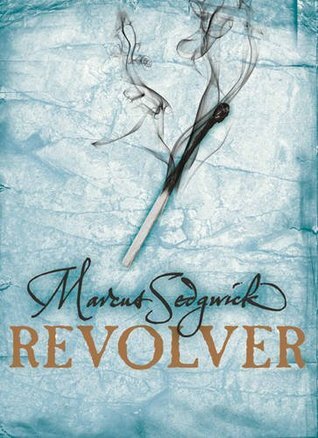 Marcus Sedgwick is that author for me. His books are bizarre in ways that resonate with me. It’s like we operate on the same wavelength or something. 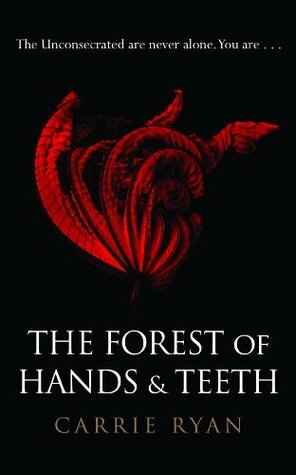 This collection of novellas has cavewomen, spacemen, witches, obsession, death, and weirdness. All the “Me” things. 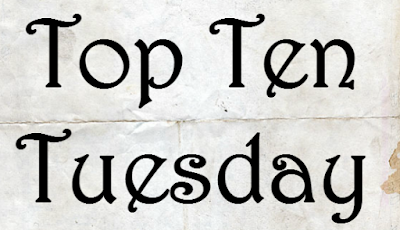 These books should be on my list because I loved them, but this is Top Ten Tuesday, not Top Million Tuesday, so they’ll have to be relegated to honorable mentions. Sorry, books. It’s nothing personal. Thank you to everybody who recommended these books to me!